♥ Jolly Princess @ World Wide Web ♥: Miss World 2013 is Miss Philippines! Miss World 2013 is Miss Philippines! Congrats Mega Young! Miss World 2013! The Filipinos are proud of YOU! Miss World 2013 contest was held September 28, 2013, at Bali Nusa Dua Convention Center in Bali, Indonesia. 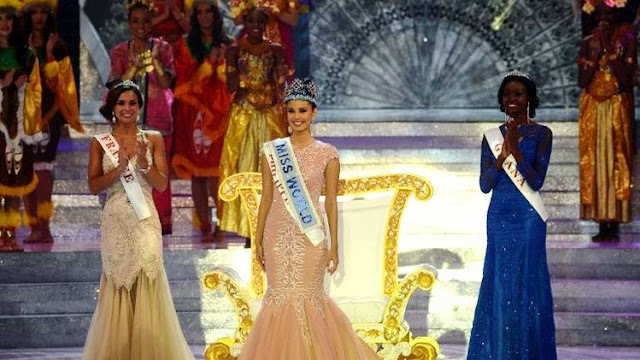 Miss France Marine Lorphelin is First Runner Up, while Miss Ghana Carranzar Shooter is Second Runner Up.